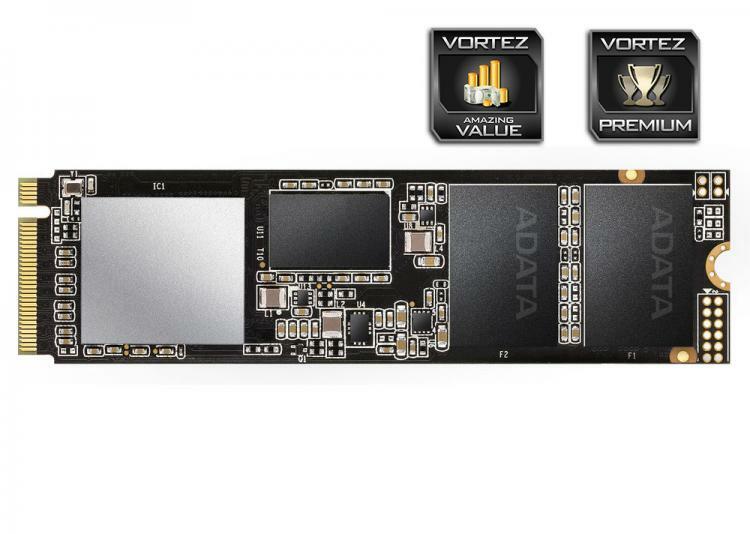 ADATA may not be quite as prominent within the storage sector as Corsair, Western Digital or Samsung, for example, but the XPG SX8200 shows they certainly deserve some respect. Our testing showed some outstanding results, mixing with the big guns in a lot of tests. Throughput and IOPS are up there in all tests, showing no noticeable weakness to the drive. 240, 480 and 960GB capacities have the market just about covered. If you plan some light use, the 240 will be ideal, those looking for a boot/games drive will likely choose a 480 while the 960 would be perfect as a total system drive, offering plenty of space and rapid access to all of your files. The optional heatsink sticker is useful for those with motherboards featuring a built in heatsink system, which many do these days. Being able to choose whether you use it or not is great. Getting onto price, which we mentioned in the introduction. Looking at current pricing at some major retailers, the £80 price tag on the 240GB model will get you an M.2 SSD of a similar capacity (240/250/256GB), but you won’t receive the NVMe interface, instead utilising the SATA 6GBPS bandwidth; this limits speeds to around 550MB/s and 50k IOPS. The 480GB can be had for roughly £130, which is only a smidge more than the asking price of a Samsung 250GB drive. We can’t help but think XPG are offering a bit of a bargain here – buy one before they realise their prices are too low! Oh, and did we mention? This drive comes with a 5-year warranty. The XPG offers incredible value but doesn’t sacrifice any performance in doing so.